On real railroads, a car checker / carman (or “car knocker”) would inspect cars as they passed through yards to ensure they were in good operating order, and “bad order” cars that were not. These rejects would be repaired on the “repair in place” (RIP) track or be forwarded on to another location if heavy repairs were required. 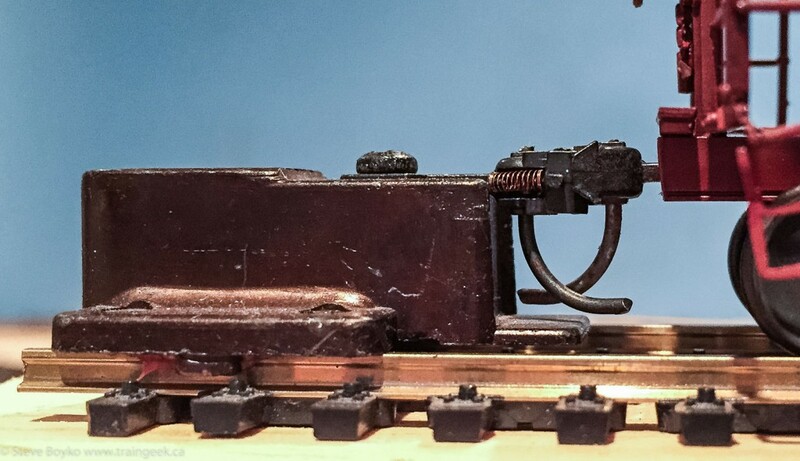 The “knocking” came from the hammer that the carman used to bang on the wheels to see if they were OK.
On my layout, I inspect all of my rolling stock to ensure it meets certain standards. Once it passes these standards, it is permitted to be on the layout and should operate well. In general I use the NMRA standards for weight and coupler height. As you can see from the top photo, I mounted a piece of track and a coupler on a scrap piece of wood. This is not my idea – I read it in Model Railroader. The length is marked off and the corresponding weight is listed underneath. 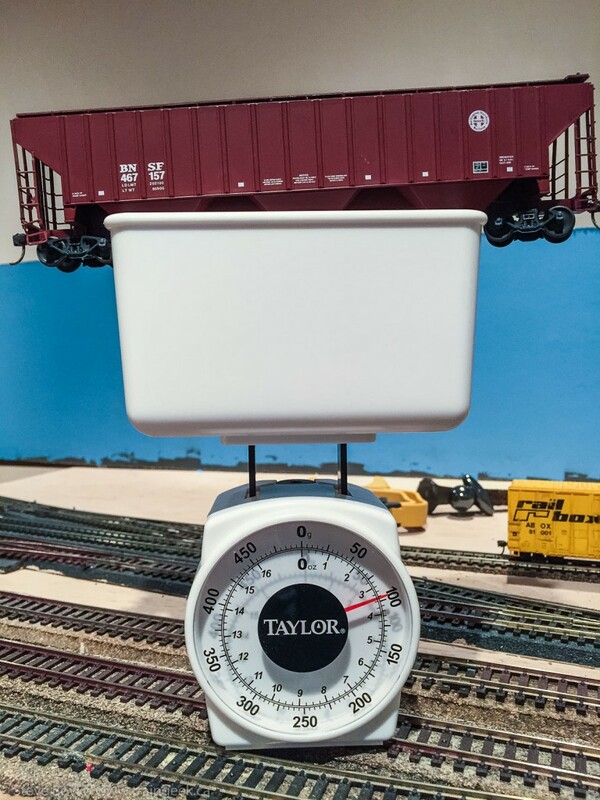 The NMRA RP-20.1 recommends a car weight of 1 oz + 1/2 oz per inch of length, for HO scale. The BNSF car above is about 7.5″ long so it should weigh between 4.5 and 5 oz. I use the Kadee HO coupler height gauge to check the couplers. The couplers should meet at the same height – the BNSF car is just a tad high but within tolerance in my opinion. Also, the trip pin under the coupler has to clear the shelf of the gauge. If it doesn’t, it has to be bent or clipped. Make sure you check both ends of the car! I use a common kitchen scale to weigh the cars. 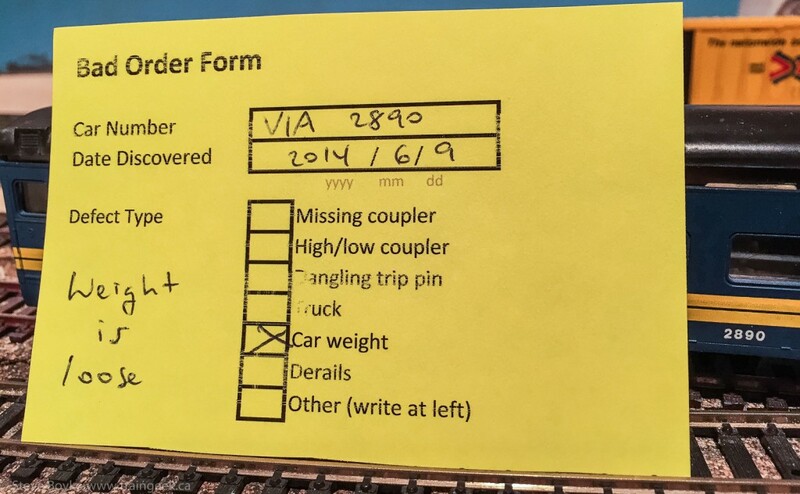 When a car derails or otherwise has an issue on my layout, I check it and if it needs work, I fill out a Bad Order Form. This provides a record of what is wrong so I can remember later! You can even route the car to a nearby yard for repairs if you like. A RIP track is a great traffic generator. On my layout the CEMR shop in Winnipeg does the car repair, so any cars requiring repair get sent there. I’ll provide some photos of that facility once I add some more scenery.